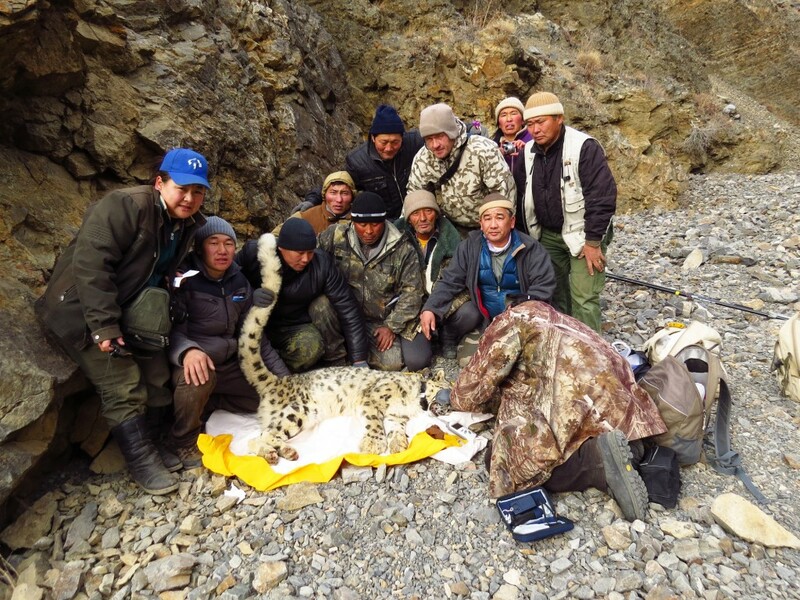 It seems like only a few days ago that we invited Dr. Rodney Jackson to conduct the first snow leopard field survey methodology training in Mongolia, and learn about snow leopards at field sites in Great Gobi Strictly Protected Areas (SPA). It seems like only a few days ago that for the first time in Mongolia, one of our snow leopards was fitted with a satellite radio collar, which Rodney brought for us. It seems like only a few days ago we were doing a feasibility study to establish Uvs Lake Basin SPAs, including the Tsagaan Shuvuut Mountain. But, this all happened 20 years ago! Today our fruitful partnership still continues and we recently had another great event coinciding with our 20 year anniversary. On October 30, 2014 our Mongolian-Russian team, headed by Dr. B.Munkhtsog, and including scientists from Biology Institute of Mongolian Academy of Sciences, Severtsovi Institute of Russian Academy of Sciences, Mongolian-Russian Uvs Lake Basin Biosphere Reserve and World Heritage Site, and WWF Mongolia Program Office, worked together to collar a young female snow leopard in Tsagaan Shuvuut SPA, at a transboundary site in Mongolia and Russia. 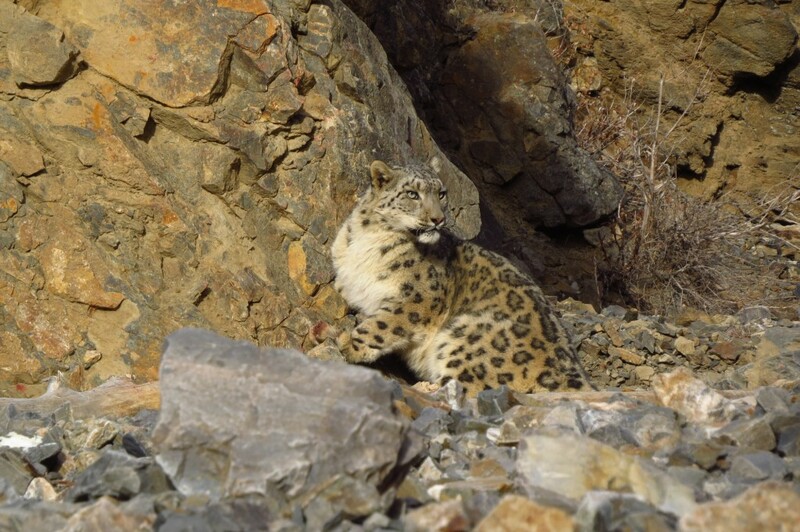 The young female, 31 kg, approximately 3 years old, was captured at Khoid sair of Tsagaan Shuvuut Mountain and named Tsagaan (meaning white in English). In Mongolian it translates more to kind, great, open heart, and a good future like white pure milk. A total of 16 Aldrich snares, donated by SLC, were placed in two valleys for two weeks. Tsagaan was captured at 2,280 meters four days after setting the snares. While she was sedated, the team monitored her body condition, took body measurements, blood and hair samples, checked for parasites, and put the North star satellite collar provided by SLC through funds raised by artist and Walt Disney Imagineer, Joe Rohde. # 15 shows that Tsagaan crossed Harig River in midday and at 7 pm reached the southern slopes of Tsagaan Shuvuut Mountain. 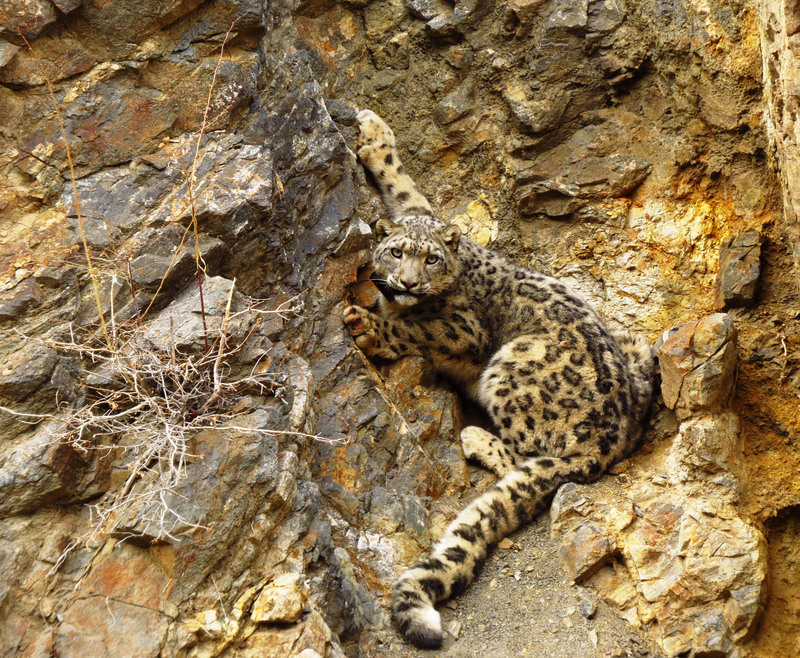 Tsagaan recovered well after the capture and immediately climbed up the nearest cliff. For two days she occupied the same valley, then headed west, walking 35 km over 10 days to the Tsagaan Gol (white river) valley, where local argali sheep populations gather during mating season. From previous studies we know that snow leopard travel mostly in dark and dusk, but Tsagaan was travelling a lot in the day time. We assume that after 20 years of protection in the park, wildlife are getting adapted to a secure and quiet life. The Tsagaan Shuvuut SPA is located north of Uureg Lake and covers 35,970 hectares in the territory of Sagil sum (county) of Uvs Province, western Mongolia. 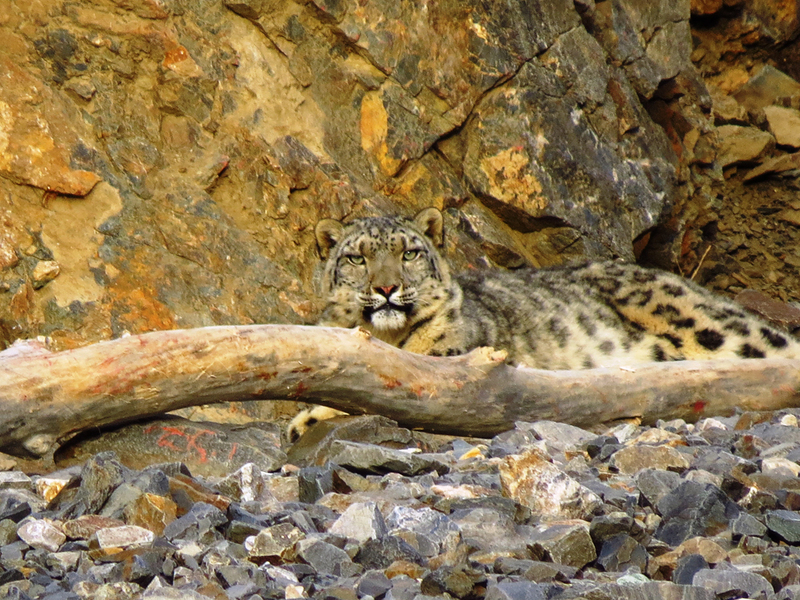 Tsagaan Shuvuut Mountain lies in the Altai-Sayan Ecoregion, which is selected by WWF as one of most important 200 ecological sites of the world and is a key link between snow leopard and prey populations in the Altai and other ranges of Northwest Mongolia. It is also connects the snow leopards in Russia, which is located at northernmost edge of their global range and provides important gene exchange. The landscape in this area is very broken, with the highest peak, Tsagaan shuvuut (white bird), being 3,496 meters above sea level. From little springs in the park start many rivers flowing to Uureg Lake. The park is home to 72 species of mammals, including endangered snow leopards, wild mountain sheep-argali, and ibex-the mountain goat. It has also been selected as an International Geosphere-Biosphere Monitoring site and World Heritage Site of UNESCO. Dry stream beds Khoid sair (Northern dry stream bed) and Omno sair (Southern dry stream bed) are known to hold one of the most dense snow leopard populations in Mongolia. The Tsagaan Shuvuut mountain range is located on the border of Mongolia and Russia where there are many ongoing transboundary conservation activities and cooperation of Mongolia and Russian parks to protect endangered snow leopard and other biodiversity species and ecosystems.